Who were all these Sandys people, anyway? This is a page aimed at disentangling all the different Sandys people associated with Eversholt. It is a work in progress and may be wrong. Any good ideas? Please get in touch! There was Samuel Sands, Bart, first Baron Sandys. He was married to Laetitia or Letithea Tipping, who inherited the advowson at Eversholt. There are several documents about them, especially marriage settlements, at the Buckinghamshire Dashwood archives. Hang on – does that mean the Sandys family and the Dashwoods were entwined? Does that have anything to do with Dashwood Poyntz Ricketts being born in Eversholt 100 years later? They appointed John Sandys to be rector in 1766 and he held the post until 1810. Meanwhile there was another John Sandys who was curate of Eversholt from 1791, and then rector of Milton Bryan from 1798 to his death in 1811. Then there was the “Mister Sandys” who owned what seems to be now Linden House around 1820. And then Samuel Sandys the surgeon, who definitely lived in Linden House until he died in 1878. 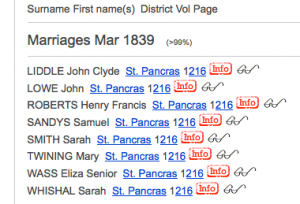 He married Sarah Whishaw in St Pancras in 1839. 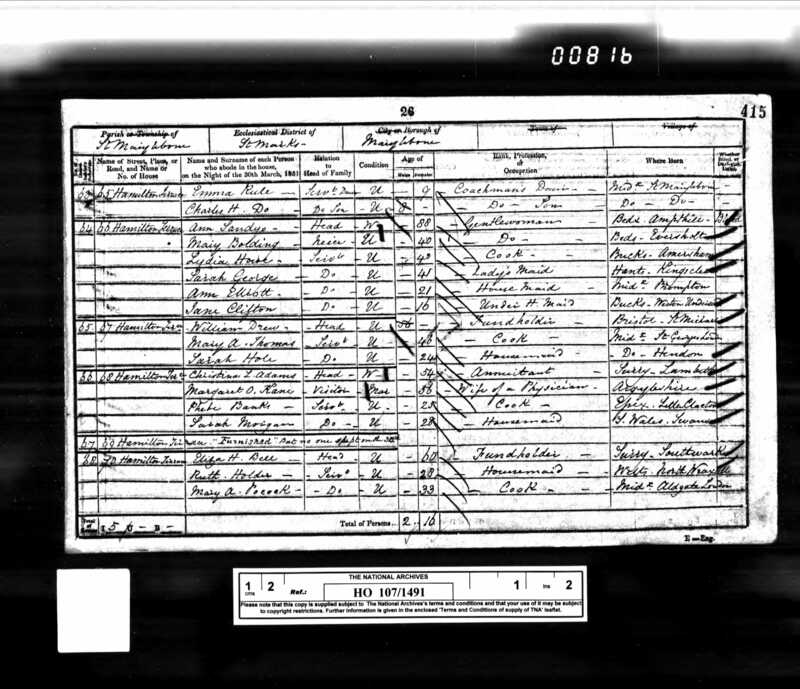 That says he was 67 at death, making him born about 1811.
and that is the only credible death recorded. (She could have remarried or died abroad, of course.) She wuold have been born about 1807. Those dates seem confirmed by the news report of her death. So Agnes was born about 1844. 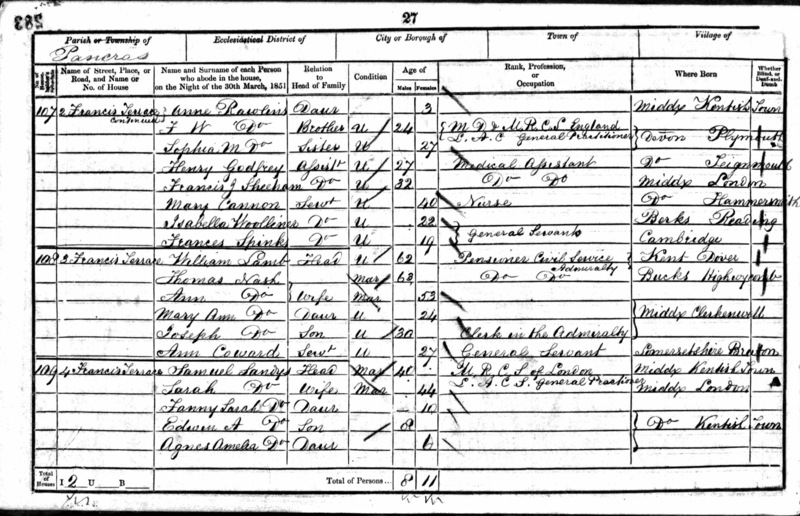 A bit oddly, i can’t find a birth record for Agnes Amelia Sandys. 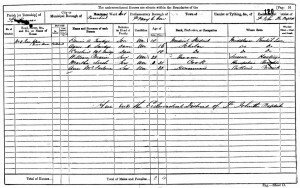 so he was the son of Edwin and Amelia Sandys and was born 20 August 1810, but not baptised until 5 May 1811. At least 3 family trees on Ancestry.com include a wide range of information about Samuel Sandys and his family. Should I be working there instead? But none of those identify the Sandys who might have lived in Linden House in 1820, who might have been Thomas Sandys and might have been married to Ann, 1762-1855. So, the family is very well documented indeed. 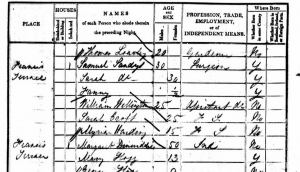 So who was Thomas Sandys, who may have lived in Linden House in 1820? 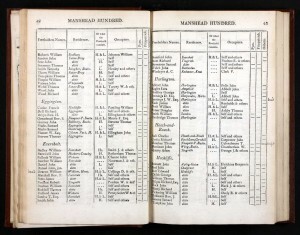 A Thomas Sandys is listed as a juror from Eversholt in 1810. The gentleman’s Magazine, volume 120, says that a Thomas Sandys of Eversholt died at Kentish Town (!) on July 24 1816. There is a Thomas Sandys – presumably another! – listed as a trusteee of the Eversholt charity in 1829.
and her heirs for ever as I wish to act justly & hope my meaning will not be perverted & be misunderstood. 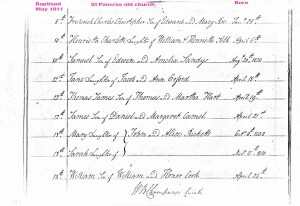 testament revoking all former wills made by me ?? whereof I have hereunto set my hand & seal this thirtieth? at his request & in the sight & presence of each other have witnessed the same. John Phillips. James Goodman. 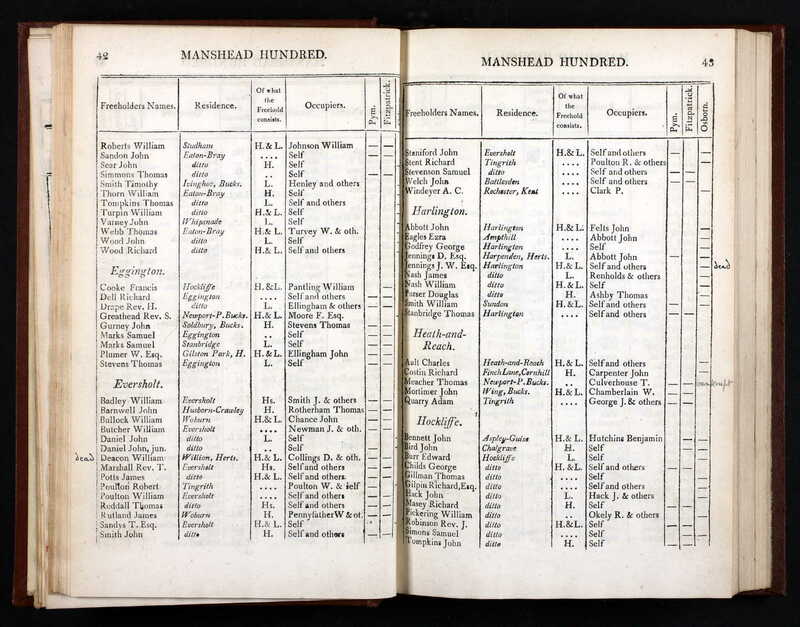 So Thomas Sandys, died 1816, was brother to Edwin Sandys. 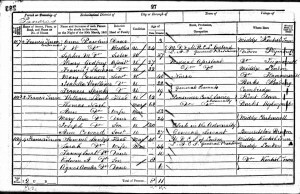 According to the family tree from Ancestry below (and I have not checked it in detail) Edwin’s first child was Maria Jane Sandys, born 1797. Quite why she was singled out for such generosity isn’t clear. But she would have been Thomas’s niece. 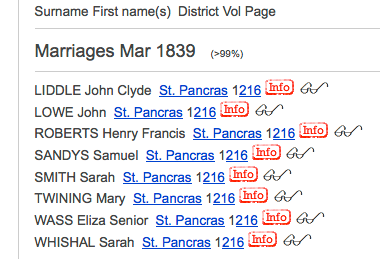 and also Edwin Sandys’s (born 1799) wife was Jane Maria. Please do try to keep up! So Edwin never got to inherit! I presume that Edwin’s heirs inherited after Ann Sandys died. 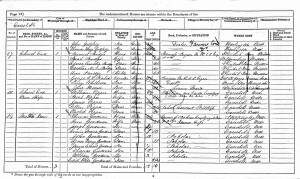 Samuel Sandys was actually Edwin’s youngest child according to the family tree at http://trees.ancestry.co.uk/tree/36474293/family?cfpid=19873115688. So how did he inherit? 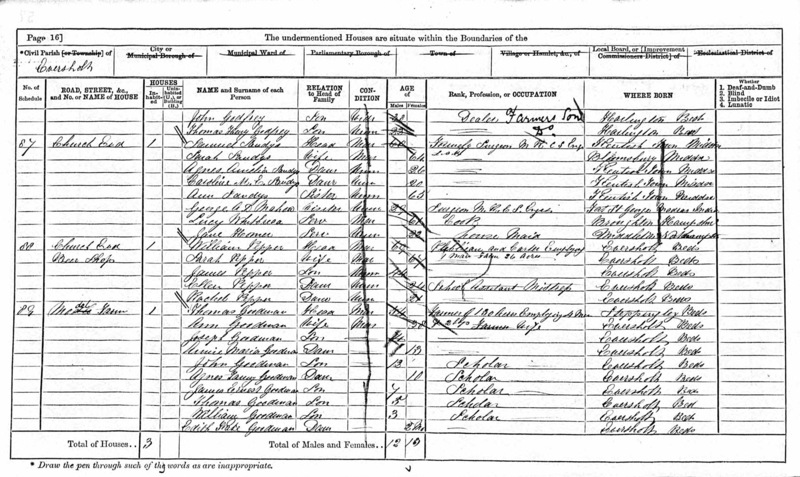 And who were Edwin and Thomas’s parents? And who was the Thomas Sandys who was a trustee of Eversholt Charity in 1829? 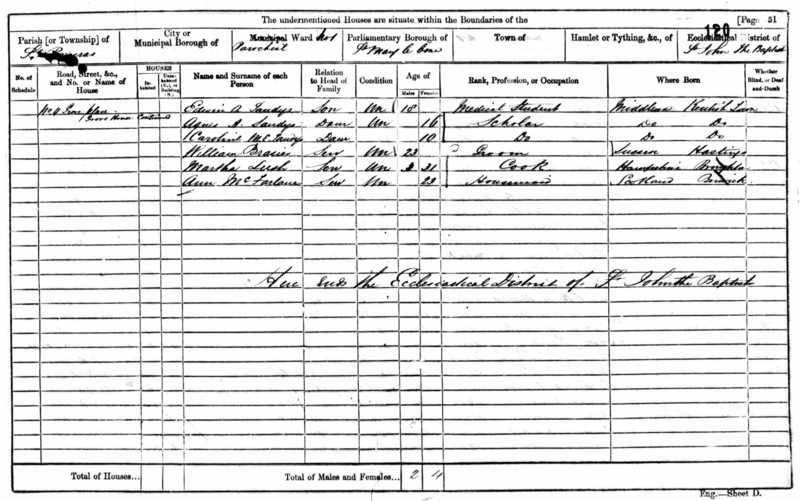 And what was Dashwood Poyntz Ricketts doing being born in Eversholt in 1859? two messuages or tenements their yard land tenements ?? and ?? ?? ? plants situate lying and being ?? Manor of Toddenham in the county of Glocester and by me purchased of the right honourable Lord ?? unto my Dear Wife Anna Maria Sandys and her assigns for and during the term of her natural life and from and immediately after her decease then I give devise and bequeath the said freehold and inheritance of the said premises unto Sir Theophilus Biddulph of Birdingbury in the county of Warwick Bart. his heirs to and for and upon such and the same uses trusts interests and purposes and under and subject to such previous limitations and agreements as I and my said wife Anna Maria Sandys have directed and appointed the same together with the said two messuages their yard land and premises in and by our deed of appointment bearing date the — day of — in the present year of our lord 1795.
who was Maria Jane Sandys, mentioned in Thomas’s will? 1774 Samuel Sandys, “son of Rev John Sandys, Eversholt” goes up to Rugby. Did he later die? Ann lived with her family in Marylebone long after Thomas’s death. 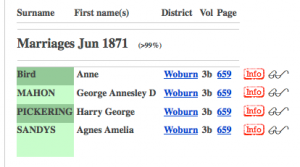 The Boldings lived in Eversholt at some time, but I have quite lost the reference I found for that. Edwin, died 1850s. His children eventually inherited. 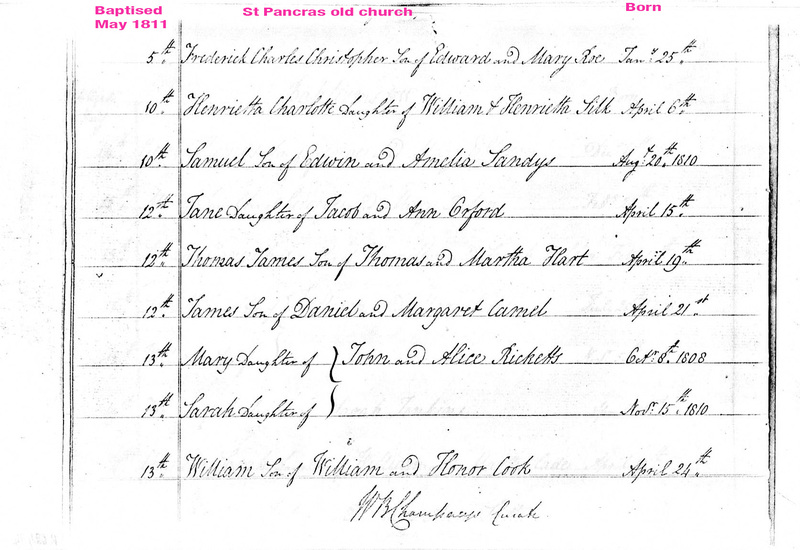 Who was the “Mr Sandys” who owned Linden House in 1820? I the picture earlier? Or just mislabelled?